From the Incarnation website: "The Twenty-third Psalm window illustrates the text of this beautiful song. In the upper portion, angels bear torches and lilies. 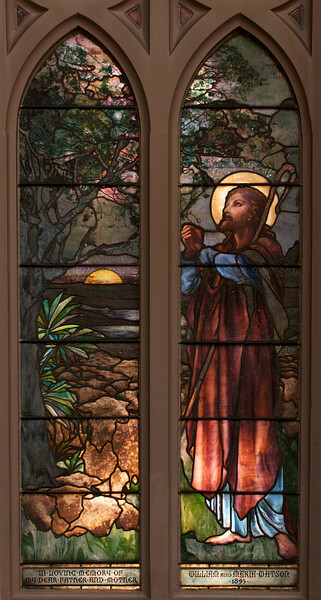 this window was also executed by Frederick Wilson of the Tiffany Glass Company. The long, flowing lines in the design of these two windows reflect the influence of the Art Nouveau style, of which Tiffany was very much a proponent."